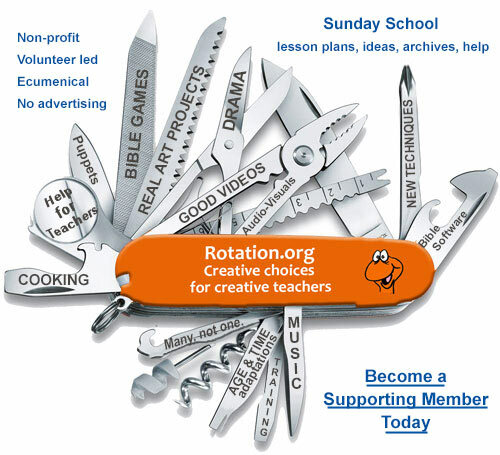 The forums in this category describe and resource the many possible "Workshops" that a Rotation Model Sunday School might use. Traditional classrooms will certainly find many inspirational ideas and creative techniques here. 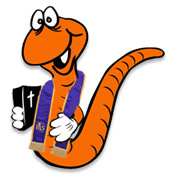 Note: Specific Bible story ideas and activities are posted in the Bible Story LESSON forums. A growing collection of photos showing Rotation Model workshop activities, projects, and decor, as well as, photos from other creative Sunday Schools. Art Workshop Design Ideas, material suggestions, art teaching techniques, Art supplies and curriculum resources. Computer Workshop "How-to" Start-up Manual, Software, Hardware, Setup issues, Lesson techniques, Design ideas, Technical advice, Photos, Names, Software resources, websites, online resources, etc. Drama ideas for Sunday School. Drama techniques & tips. Great prop ideas, costume suggestions, Drama room design, and Drama resources. "Newsroom" Workshop. "Blacklight Theater." Teaching ideas for the Music Workshop, room design, music resources, notes on 'how to,' lesson resources, information about instruments, etc. Music in Christian Education. Song sources. Contemporary Christian music resources. Free registration required. Methods, ideas, and resources for teaching with puppets in Sunday School. Workshop Manual, Tips, Suggestions for Teaching with and creating Video. Room Design, furnishings. Using YouTube in the classroom. "How to." Connecting smartphone to TV. Projectors. Etc. Misc comments on particular video series and sources. Using photography and cellphones in class, etc. Science (Demonstration, Object Lesson) and Gardening workshop resources, curriculum suggestions, teaching tips, material suggestions, favorite experiments, and more on these unique workshops. The "Lego" Workshop and "Story Table" Workshop both use the same principle to engage and teach: students construct then retell the Bible story using props (figurines, legos, etc). In the past, these workshop ideas have also been called "Diorama" and "Construction" workshops. Methods and ideas for the storytelling workshop. Creative ideas and methods for the dance, gesture, or movement workshop. Ideas for making your workshops and hallways awesome. We suggest you also check the Workshop Photos Forum. Mission Workshop, Faith Mentor Workshop, Temple or Tent Workshop (worship), Shared Space, Special Needs Students, Other Workshop Concepts, etc. Worship Workshop is a new forum for ideas about using elements of worship to study a story. This forum also discusses the possibility of Attending Worship AS a Workshop, -for those churches where Sunday School is held concurrently with regular worship.